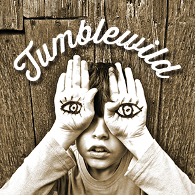 Welcome to the Tumblewild Boutique. We hope to have a range of goodies soon. But for now you can buy the album for only £8.00! P&P £2.00 for mainland UK, £3.00 for Europe, £4.00 for USA & Canada and £4.00 for Asia and Australia. Click the Buy Now option below to order. Enjoy the album!